Not all help desk software is created equal. 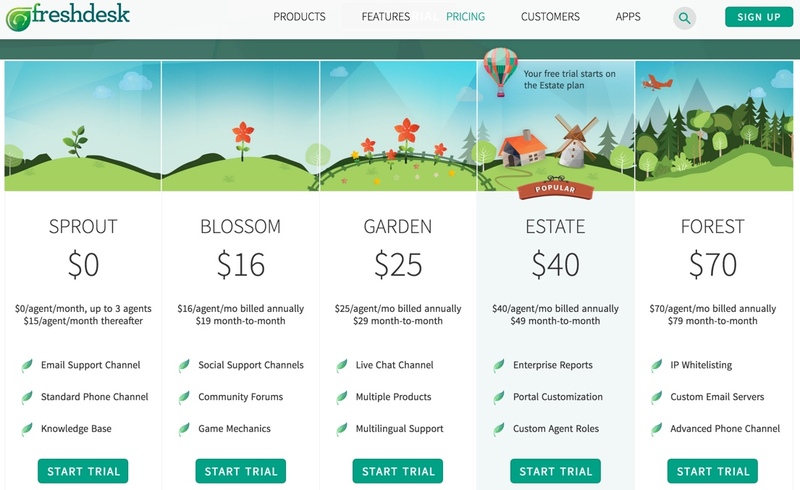 Learn the pros/cons, compare pricing, integrations and features before you buy. Are you still trying to handle your customer service inquiries solely by traditional email? Or, worse yet, are you using a clunky, outdated help desk that seems more like a drag on your company than a boon? Or are you just looking for a stable solution that can grow in scale as your business grows? 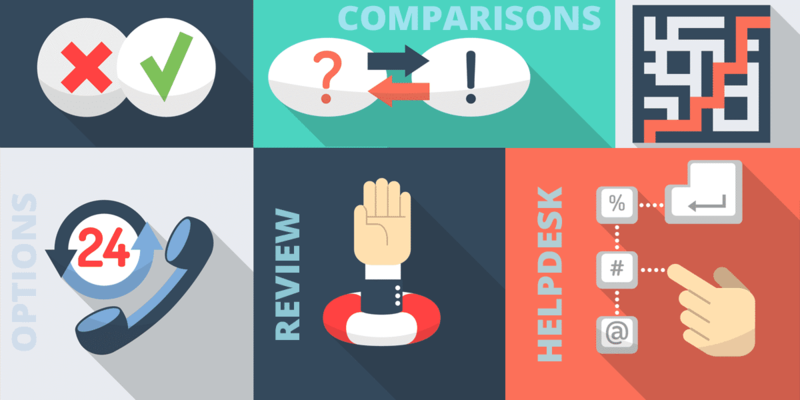 Whatever your reason for researching help desks, you’re reading the right article – Help Desk Software Reviews & Comparisons. A help desk isn’t just a way to manage your customer service inquiries. It’s much more powerful than that. Reduce manpower costs. That’s because many help desk platforms come with automation tools that can do things like send out specific emails based on a trigger, or even suggest an article prospects can read to get the answers to their questions. Quickly identify repeat issues. Many help desks have reporting tools that let you see what sorts of questions your prospects are asking, which questions aren’t getting resolved, and how long it takes your team to answer tickets. Automate triaging, escalation and prioritization. This means no more customers slipping through the cracks when they have urgent issues. 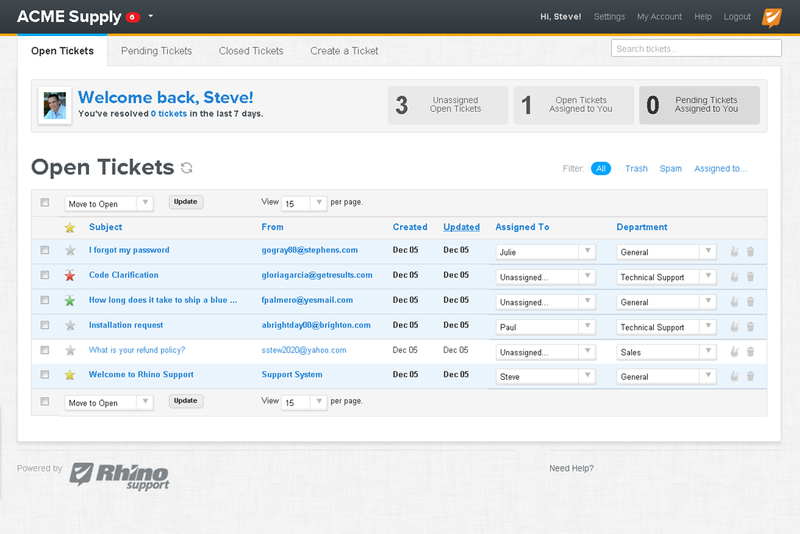 A good help desk platform can ensure a ticket goes directly to the right person, and that it’s handled fast. 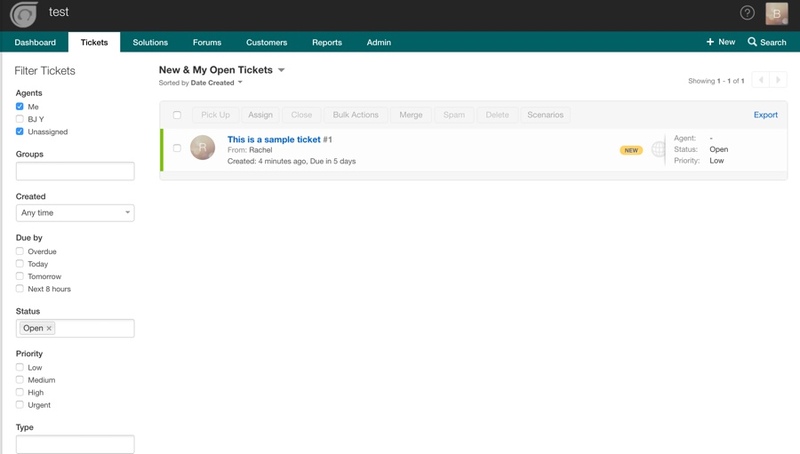 Organize and monitor tickets from creation to resolution. This sort of transparency and organization helps ensure you provide top-quality care for your prospects and customers. In short, a good customer service desk can help your business grow by closing sales, offering prompt help, and solidifying customer loyalty. However, not all help desks are created equal. Even small differences in features can have a big impact. For example, some business owners may not care whether a help desk integrates with social media, while others want to give their customers the ability to start tickets via Facebook and other platforms. It’s just one feature, but it can really change the customer’s experience with your company. So which help desks have the features you need at the price that agrees with your budget? That’s what you’re about to find out. 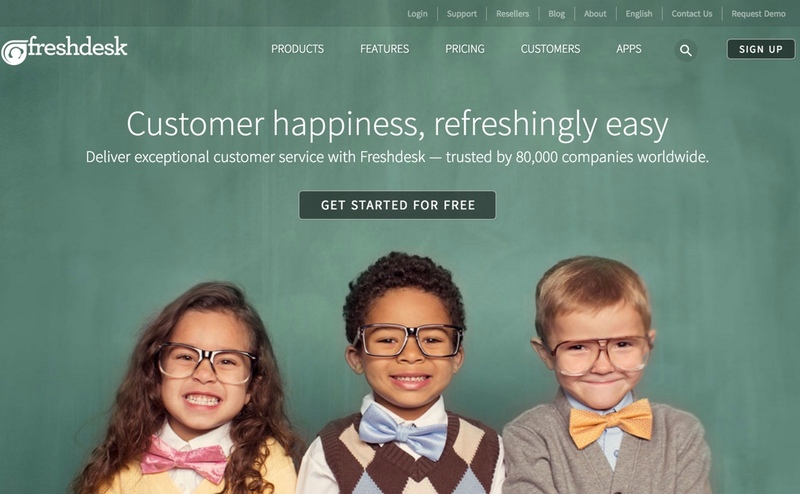 FreshDesk boasts over 80,000 customers around the world. But is it a good choice for you and your business? Via phone: Yes (but it costs extra). Multi brand helpdesk support (FAQ/Knowledgebase separate for each product): Yes. Widget embedding for FAQ, Ticket, Chat: Yes, via the Beacon Feedback widget, as seen below. The advantage of using this widget is that you can embed your help desk features anywhere on your site. This means your prospect can get the help they need without ever leaving the page they’re on. For example, maybe they’re sitting on your sales page and they have pre-sale questions. If they leave your sales page in search of a help desk or contact button, they may get distracted. You might lose them. They’ll leave the page, never to be seen again. But embed your chat window right into your sales page, and you’ll boost conversions because you can close the sale without your prospects having to leave the sales page. External support: presales questions -potential buyers: Yes. Internal support (Ability to pass user data from inside app along with ticket to track which products customer has purchased. This is used to provide timely and correct support and advanced sales funnel): Yes, this is available, but we didn’t test it to see how well it works. Multiple agents: Yes. There is a cost per agent that runs from $15 for up to three agents for the most basic plan, to $70 per agent for the highest-tier plan. See the pricing section below for more information. Private FAQ/knowledge base for internal use: Yes. This is a very useful feature to help train your staff. Agent performance tracking: Yes. Another useful feature, especially if you have several agents to monitor. Private notes/ chat between agents: Yes. This is a good feature as it helps your agents approach certain issues in the same way. This gives your customers and prospects a better customer-service experience. Agent rating/ Customer satisfaction survey: Yes. Here’s another good way to track how well your agents are doing. This can help pinpoint places where you need to provide more training. It also helps boost overall staff performance, as agents who know they may be rated are likely to do a great job to get those high ratings. You can get a good sense of where your tickets are coming from, if they’re getting resolved, and how in-depth the help is with FreshDesk’s reporting. You’ll also be able to track other important metrics, such as when most of your tickets are coming in (which will help you make staffing decisions). 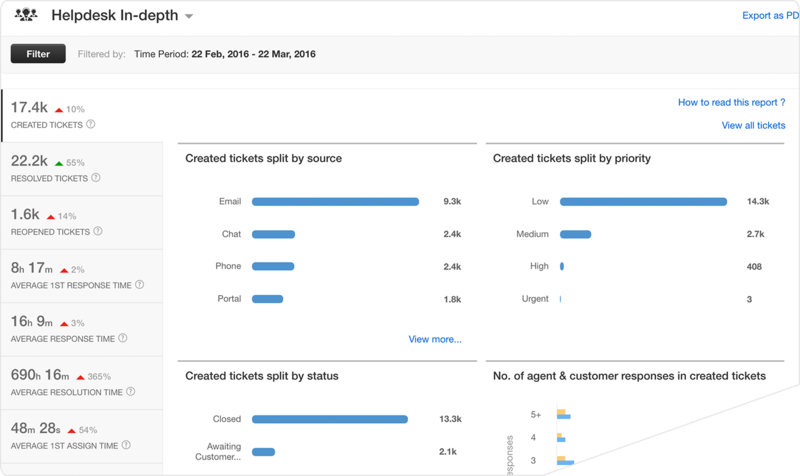 FreshDesk also lets you look at what kind of tickets may be causing problems for your agents, customers and prospects. For example, if you have one type of question that comes in repeatedly, then you may want to expand your knowledge base or place the answer in multiple locations on your site. You can also look at your agents and how well they’re performing. For example, you’ll see which agents handle the high priority tickets, and which of them get good reviews from prospects. In turn, this helps you make decisions about training and promoting. You can even compare groups of agents, such as looking at how your pre-sale agents are doing versus your post-sale agents. And of course you can see how long it takes for your agents to respond to queries, which will again help you with staffing or training decisions. Remote control (to manage, access, and control a customer’s computer from a remote point, giving remote diagnosis, and resolving any issue or complaint with little customer involvement): Yes, this is available through the LogMeIn Rescue App. Note that the technician must have a Windows platform, but the end user can have any platform. Also take note the app sends information back to the help desk, such as notes about total time spent logged in. Integration: Yes. 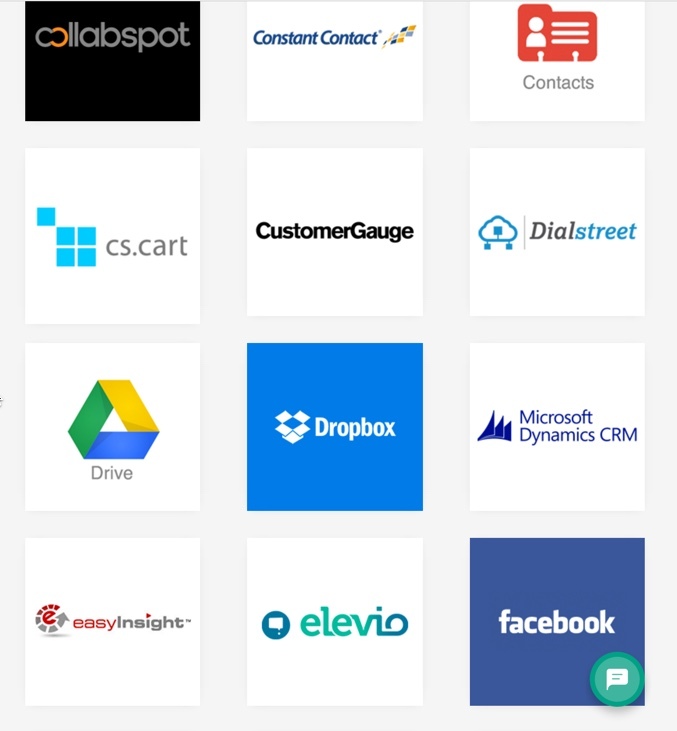 FreshDesk integrates with over 50 popular apps and services, including Constant Contact, DropBox, Facebook, GitHub, Google Translate, Magento, InfusionSoft and much more. Ease of use: FreshDesk has a neat, easy-to-use interface. Price: Ranges from $15 to $70 per month per agent, depending on the plan you select. Do note that you can take advantage of a free trial to see if FreshDesk is right for your business. Who can use it: Because of FreshDesk’s powerful features and multi-tiered pricing, it’s a great option for any small, medium or large business. Loaded with features. This help desk has all the bells and whistles, so you’re sure to find the features you need to suit your business. Built-in forum. Another great feature, because it can cut down on support requests. That’s because users can search the forum to see if their issue has already been addresses. Built-in live chat. 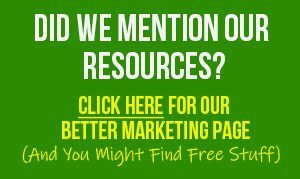 And since you can embed this anywhere on your site, your prospects and customers never need to click away from a page to get the help they need. Built-in phone support. This does cost extra, but it’s a very nice feature to have available. Hover feature. When you’re looking at all the tickets in your system, you can get the details of a particular ticket simply by hovering over the ticket. This is a nice touch and a great time-saving feature. Not very user-friendly for end users. That’s because your prospects and customers are required to log in to view tickets. Boring frontend interface. Obviously this isn’t a deal breaker, but FreshDesk could use a fresh design and makeover to give it a more dynamic and polished look. Do you want to check it out for yourself? If you’d like to learn more about FreshDesk’s user interface, robust ticketing, or advanced gamification… check them out with their free trial by clicking the button below. Via web interface: Yes, via a login desk ticket submission form. Via social channels: Yes, via 3rd party integration. Via phone: Yes, this is available on some plans through 3rd party integration. Via chat: Yes, this is available via 3rd party integration with some plans. Multi brand helpdesk support (FAQ/Knowledgebase separate for each product): Yes. You can do this for up to 10 brands, depending on which plan you select. Widget embedding for FAQ, Ticket, Chat: Yes, you can create a contact widget on any page of your website. HappyFox offers this feature as a tabbed widget. Notice that it’s very clearly labeled as “help,” which makes it intuitive and user friendly. Internal support (Ability to pass user data from inside app along with ticket to track which products customer has purchased or used to provide timely and correct support and advanced sales funnel): Yes, this feature is available, although we didn’t test it. Mobile app: Yes, for Android, Windows and IOS. Voice (call center): Yes, this is available on select plans via 3rd party integration. Multiple agents: Yes, and there is a cost per agent. See the pricing information just a bit later for more information. Tag, tracking: Yes, and this can be automated as well. Automation rules: Yes. HappyFox has what it calls “Smart Rules,” which results in the software automatically taking specific actions based on predefined conditions. For example, you can set up HappyFox to trigger notifications whenever a ticket hasn’t been answered or resolved within a set period of time. Another example: you can have HappyFox assign a ticket to a specific agent, depending on conditions such as what type of help the prospect is seeking. Remote control: Yes, your agents can gain remote access to your end user’s computer through the LogMeIn third-party app. However, this feature is only available with select plans. Integration: Yes, you can integrate HappyFox with many third-party apps. Take note, however, that app integration depends on which plan you select. For example, the basic plan lets you integrate social media, live chat and other features. However, you’ll need to upgrade to different plan if you’re interested in features such as phone integration or the ability to access a customer’s desktop remotely. Ease of use: HappyFox has an interesting layout compared to some competitors. However, it is easy to set up and use. Price: As always, pricing varies according to the plan you select. It starts at $19 per month per staff (agent), and goes up to $79 per month per agent. The price varies according to plan, as well as whether you are paying monthly or annually. Who can use it: This help desk is suitable for small, medium and large businesses. Indeed, HappyFox has many well-known clients such as Warner Brothers, Lowe’s home improvement stores, the YWCA, Sennheiser and many more. What we really like about HappyFox is that it’s feature-rich, easy to use, and has a fun interface. That makes it a good choice, because it’s powerful enough for your business, yet it’s also easy for your agents to learn how to use it. The biggest downside of HappyFox is that it can get expensive once you start adding more agents and apps. So when you start comparing pricing, be sure you take into consideration exactly what you’ll need in terms of agents and apps so that you can get an accurate idea of the price. Secondly, the other downside is that the widget format would be designed a little better. That’s not a deal breaker, but you’ll want to look at it to see if it meets your expectations. So is HappyFox right for you? 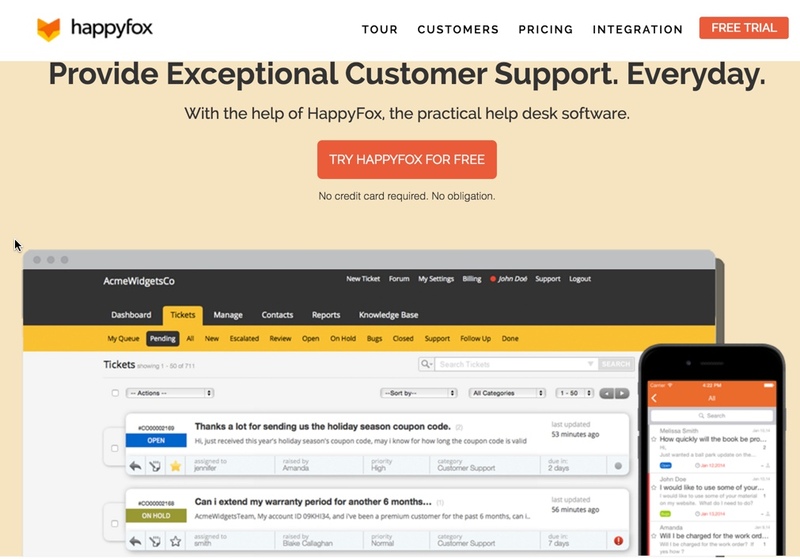 Happy Fox has a free trial available and if you’d like to learn more about HappyFox, the practical help desk and customer support software solution, check them out by clicking the button below. Via phone: Yes. This is available through third-party integration, and there is an extra cost associated with this feature. Via chat: Yes. This is available through third-party integration, and there is an extra cost associated with this feature. Multi brand helpdesk support (FAQ/Knowledgebase separate for each product): Yes. You can offer up to three brands with the basic plans. If you need more, you can select a higher-tier plan and get more brands at an extra cost. Widget embedding for FAQ, Ticket, Chat: Yes. HelpScout offers a very powerful yet beautiful beacon-style widget. What sets HelpScout apart is that you can set up this beacon with automated suggestion rules. This means that when your web visitor is looking for something, your beacon will offer related articles and other content. In turn, this cuts down on customer service tickets, as your visitors will find the answers to this question through the beacon widget. It’s a great way to provide a user-friendly experience while also cutting down on support requests. Internal support (Ability to pass user data from inside app along with ticket to track which products customer has purchased or used to provide timely and correct support and advanced sales funnel): Yes, though this function is limited. Web: Yes, but this platform is for support staff only. Mobile app: Yes, but currently only available on IOS platforms. Voice (call center): Yes, this feature is available at an extra cost through third-party integration. Multiple agents: Yes. There is a cost per agent. Automation rules: Yes, and these automations are time-saving, powerful and create a great customer service experience. You can set up simple “if/then” workflow rules to trigger automations. For example, if a ticket is for a certain category or includes something specific within the subject line or body, you can assign this ticket to a particular agent. Another example: if a ticket includes a tag related to an outage, then you can send an automated or bulk response to that ticket. This saves a lot of time when you get a flood of requests due to something like a web outage or special sale. Reporting: Yes. 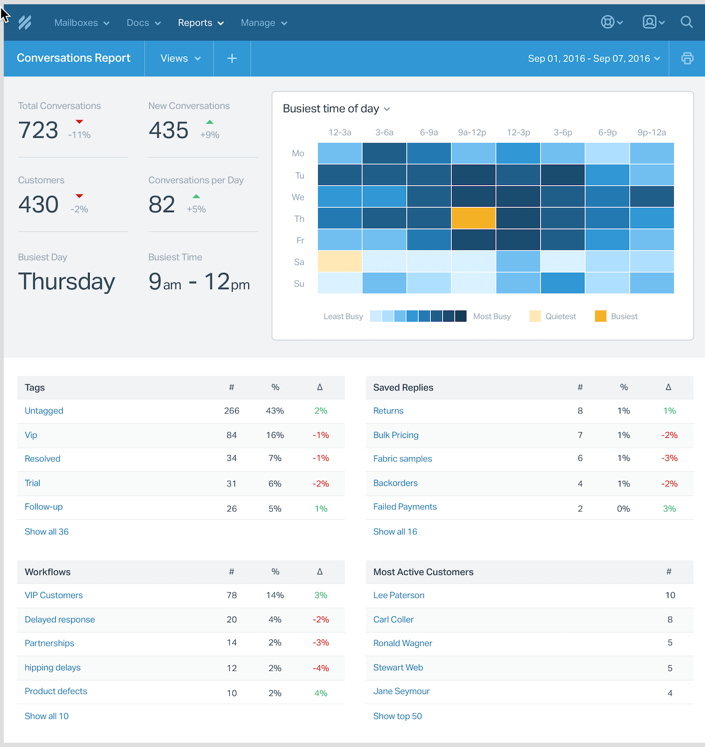 HelpScout gives you the most important data at a glance, including busiest time of the day, most-used tags, which workflow rules are being triggered, most active customers, and more. Together, this information can help you make better staffing decisions and create automation rules to boost efficiency. Remote control: No, remote access is not available. 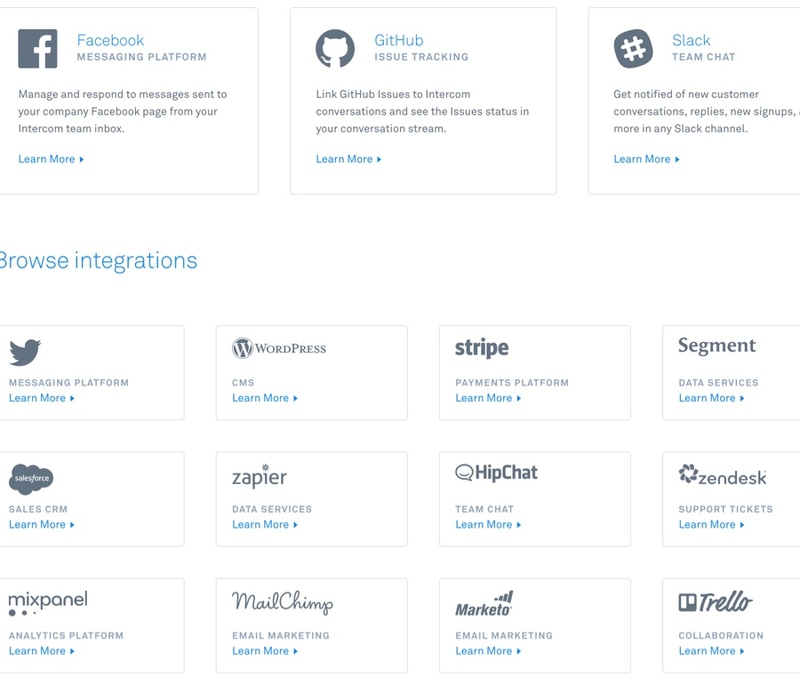 Integrations: Yes, HelpScout integrates with over 40 products, services and apps, including Slack, InfusionSoft, MailChimp, Magento, Zapier, KISSMetrics and many more. Who can use it: HelpScout is tailored for small to medium sized businesses that focus on email support. Beautiful, customizable beacon-style FAQ widget. This widget lets you show relevant articles to your visitors, which greatly cuts down on the number of support tickets. Most widgets just show embedded contact forms. This widget shows relevant information. 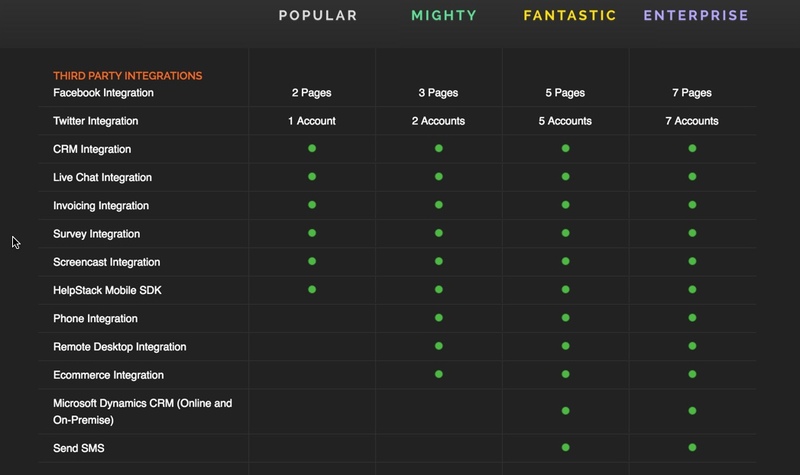 What’s more, you can also customize the beacon for different pages and websites. Unlimited messages and storage. This is a great feature if your customer service desk experiences heavy traffic. Nice reporting, tagging and tracking. These features save time and help you make staffing decisions. 40+ integrations. Better yet, many of these integrations are free and very useful. Agent rating and customer satisfaction surveying available. Again, this helps you make training and staffing decisions, and ensures your team is providing great care to your customers. The biggest downside of using HelpScout is that customers can only create tickets via email. During our tests we’ve seen instances where a customer didn’t receive a response because their email provider blocked it. Chances are, the customer assumes that the company simply didn’t bother to reply. That reflects poorly on you and your company, and can even cost you business. Update: the solution for this is setting up SPF, DKIM, DMARC, or custom smtp settings and Google oAuth correctly according to HelpScout. They are a bit complicated we asked our admin to look into it and it took him a while to set it up so for a non-techie person this is a lot to handle- you will need to seek help from your hosting provider. Bottom line: it would be great if HelpScout provides a help desk login, which would let customers check for a ticket response without relying solely on email. Update: HelpScout reached out to us and suggested the following workarounds although we have not tried it. If you’d like to learn more about HelpScout’s customer support tools or to get started for free, check them out by clicking the button below. 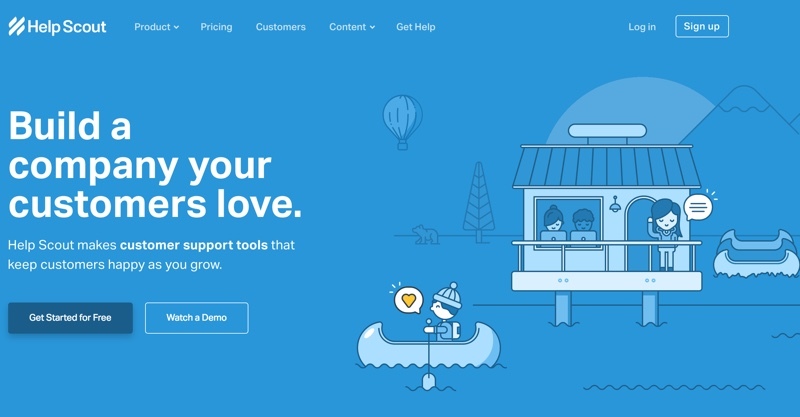 Intercom started in 2011 with a focus on providing a user-friendly support platform for businesses. Today they serve over 13,000 businesses around the world. Via web interface: No, there is no login desk submission form. Widget embedding for FAQ, Ticket, Chat: Yes. They offer a beautiful beacon-style widget. However, the beacon widget is only available for live chat and offline messages. You can see a live example of this beacon in action at https://www.intercom.com/. 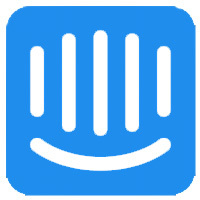 Internal support (Ability to pass user data from inside app along with ticket to track which products customer has purchased or used to provide timely and correct support and advanced sales funnel): Yes, and Intercom does a great job with this feature. 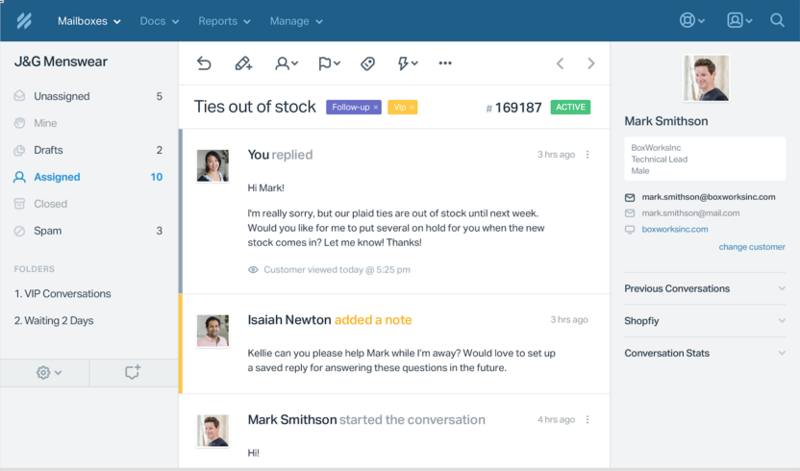 The reason why this feature is so powerful is because Intercom lets you track your customers through your sales funnel in a way no other traditional help desk can. In turn, this enables your support staff to provide a better customer service experience. When they purchased their membership. How often they use their membership. You can get all this information and more without your support staff having to ask the customer. You can then segment your customers based on this information. You can send them targeted marketing information, follow ups, or even put them into a new sales funnel. So not only does Intercom offer a powerful way to provide support, it also help you with your back-end marketing. Those who offer SAAS solutions and similar will find these features particularly powerful and effective. 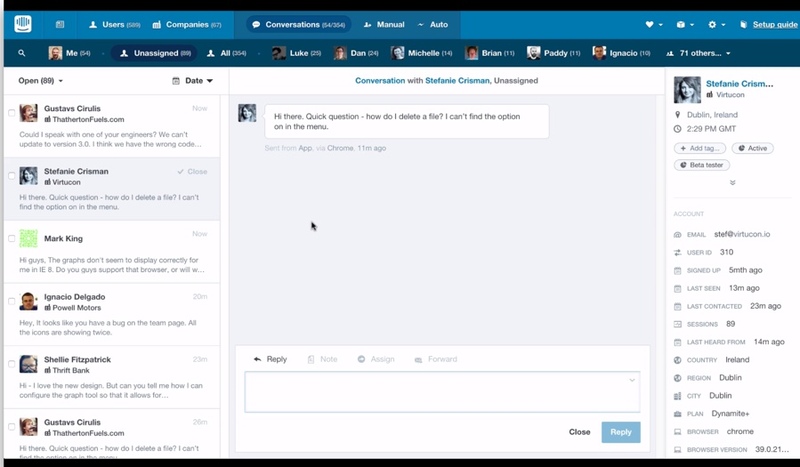 Web: Yes, via a chat window. Multiple agents: Yes, you can have an unlimited number of agents. See the pricing section below for more information. Agent performance tracking: Yes, but it is very basic. Tag, tracking: Yes. Intercom does a great job with this feature, as they offer group segmenting and precise targeting. Automation rules: Yes, they do this very well. They offer the ability to do tasks such as automatically assigning specific agents to certain types of tickets. Reporting: Yes. You can get a quick overview of important metrics such as when your help desk is busiest, and how long it takes to respond to inquiries. Integrations: Yes, there are some available. 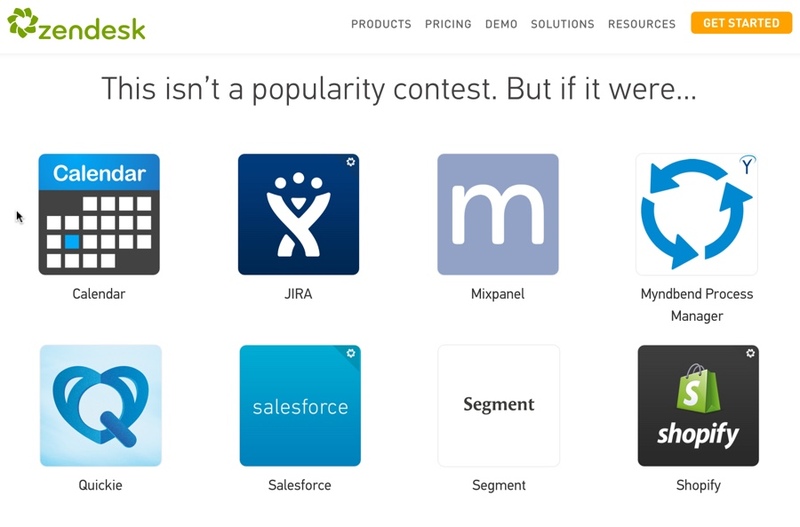 Some of the most popular integrations include Facebook, GitHub, Stripe, WordPress and more. 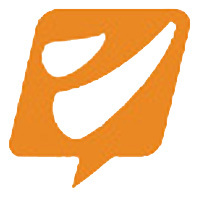 Acquire, which is where your support staff can chat with prospects. 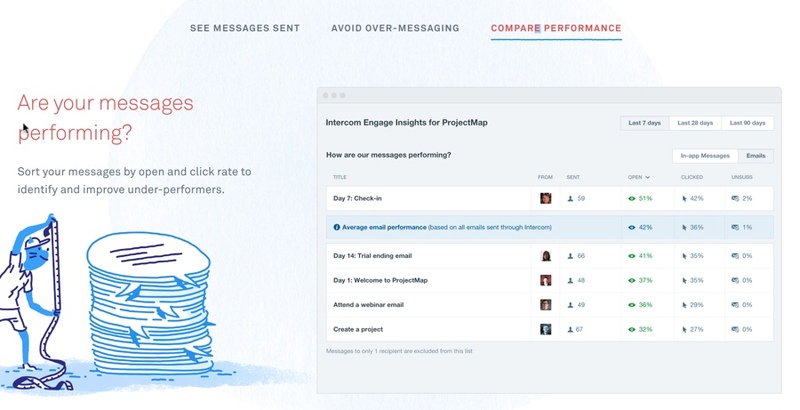 Engage, which is where you can send targeted messages to customers through email and in-app messages. 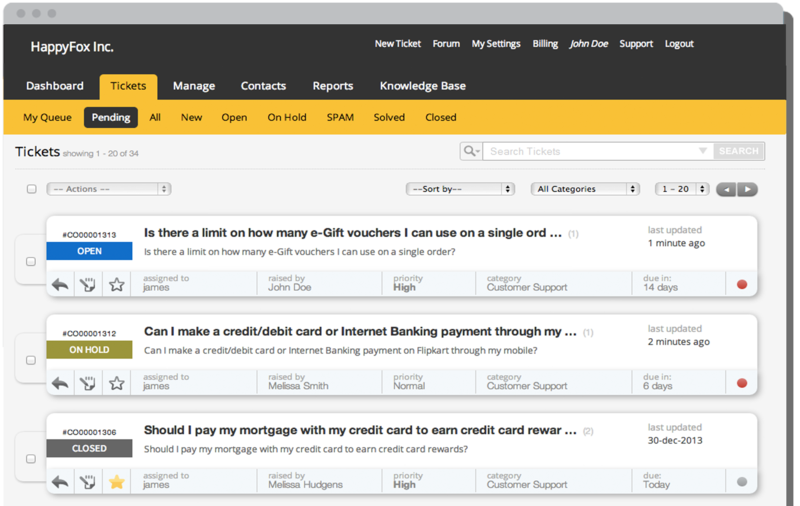 Support, which is where your customers can ask their questions and receiving support. Pricing starts at $49 per month each for the Acquire and Support platforms, and $53 per month for the Engage platform. 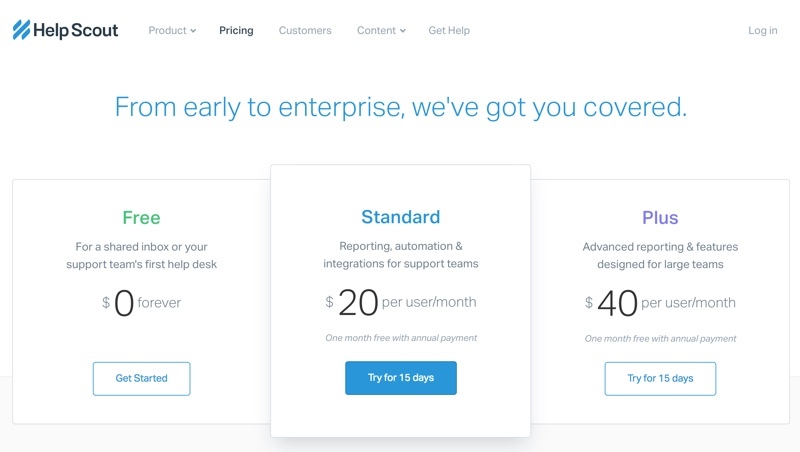 Unlike other help desk platforms, Intercom does not charge a price per agent, and you can have unlimited agents. Instead, pricing is based on the number of people you track and communicate with. 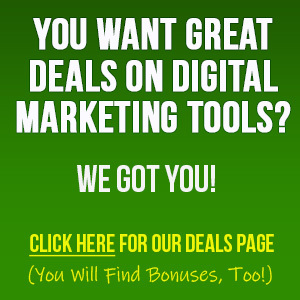 This automatically adjusts as your business grows and you start tracking more people. 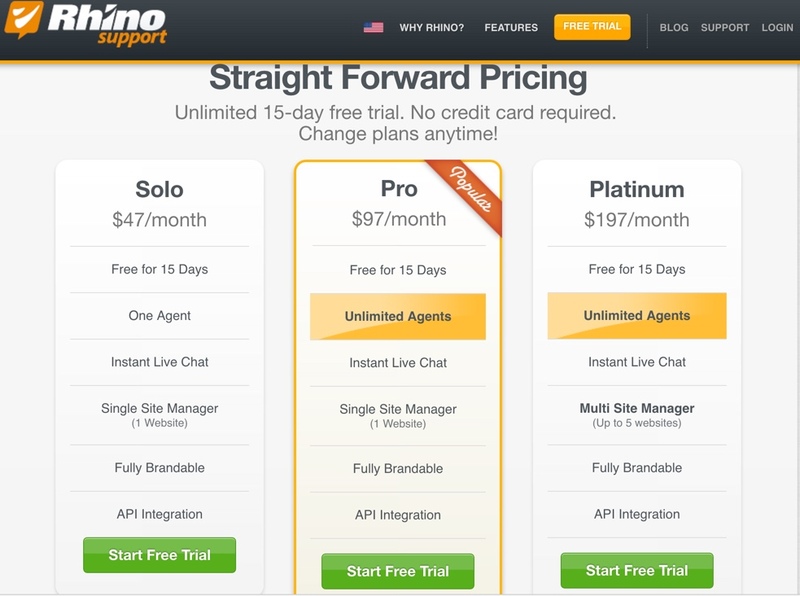 Who can use it: This is a great option for those offering SAAS, as well as anyone wanting to offer real-time chatting. Unique system with comprehensive customer tracking. This is one of Intercom’s strongest selling points. Beautiful beacon and chat window. These professional design touches inspire confidence in your prospects and customers. Expensive, confusing and unclear pricing plans and terms. Because of its multiple platforms with multiple sliding-scale pricing, it can be confusing to easily do any pricing comparisons. May create a load on your support staff. 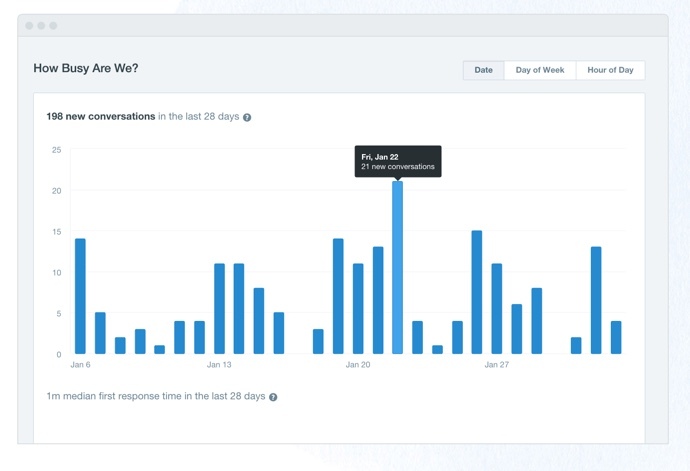 That’s because Intercom focuses on live chat, so users are going to expect instant responses. You’ll need to have the staff available to effectively cover your desk during peak times. Can be confusing to track conversations. That’s because the system is based on “chats” rather than tickets. System runs slow at times. During our tests we had slow response times occasionally. 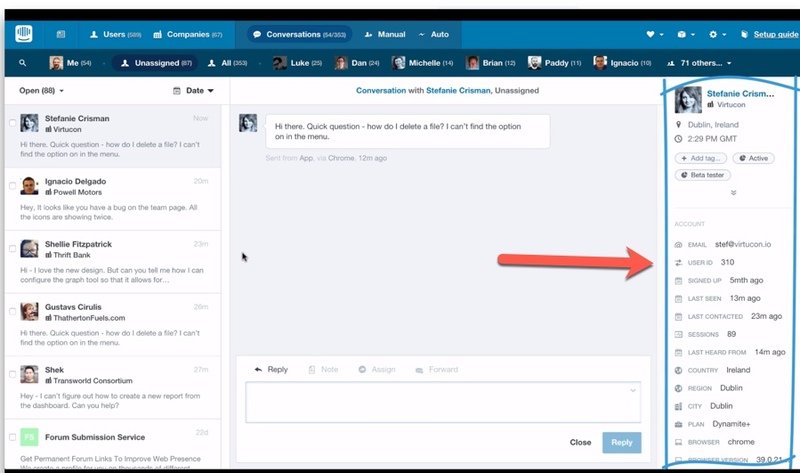 Since you’re doing live chats, you need this feature to be as fast as possible to offer timely help. 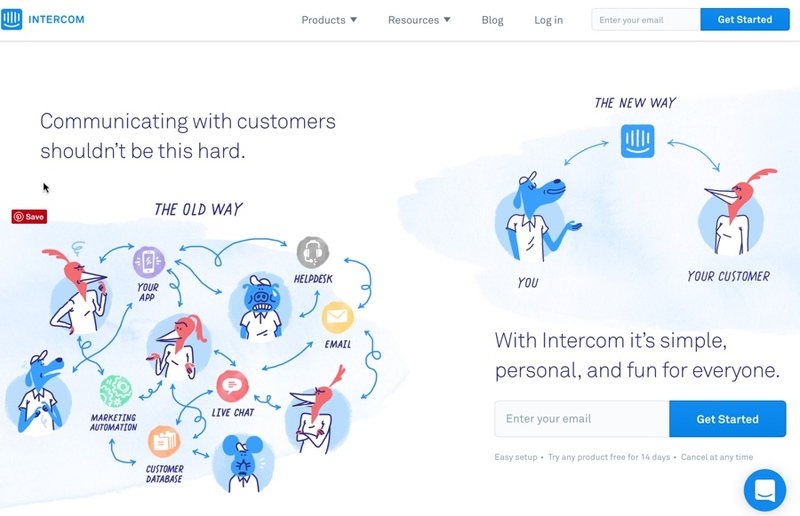 If you’d like to learn more about Intercom’s integrated knowledge base and help desk by getting started for free, check them out by clicking the button below. 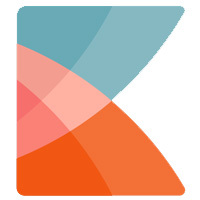 Kayako started in 2001 as an answer to the boring, confusing and clunky support solutions that dominated the market. Today Kayako continues to focus on offering user-friendly solutions to over 131,000 customers. Multi brand helpdesk support (FAQ/Knowledgebase separate for each product): Yes, on some select plans. Widget embedding for FAQ, Ticket, Chat: Yes, this is available for the live chat feature. You can set up the Messenger to automatically point to useful resources, which cuts down on your customer support requests. If your support staff is offline, users can leave a message. If this particular customer has talked to your support staff before, then this new message is posted alongside other conversations for quick and easy referencing. Internal support (Ability to pass user data from inside app along with ticket to track which products customer has purchased or used to provide timely and correct support and advanced sales funnel): No. NOTE: Although we didn’t test it, it may be possible to do this through a third-party integration with Zapier. Multiple agents: Yes. There is a cost per agent. See the pricing section just a bit later for more information. Reporting: Yes. 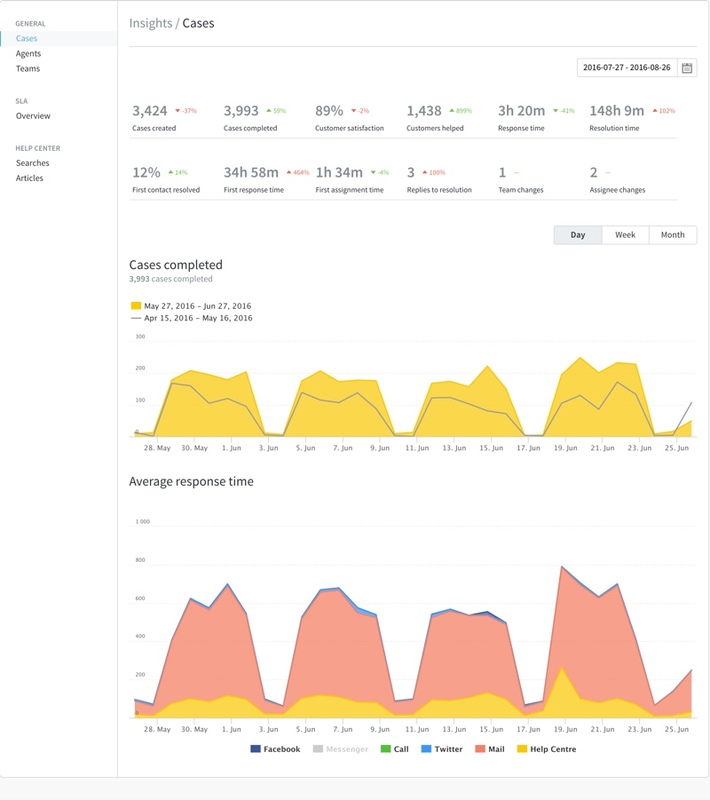 Kayako gives you a good overview of your help desk response times, what percent of cases were resolved during the first contact, when your help desk is busiest, and more. Remote control/access to customer’s computer: No. 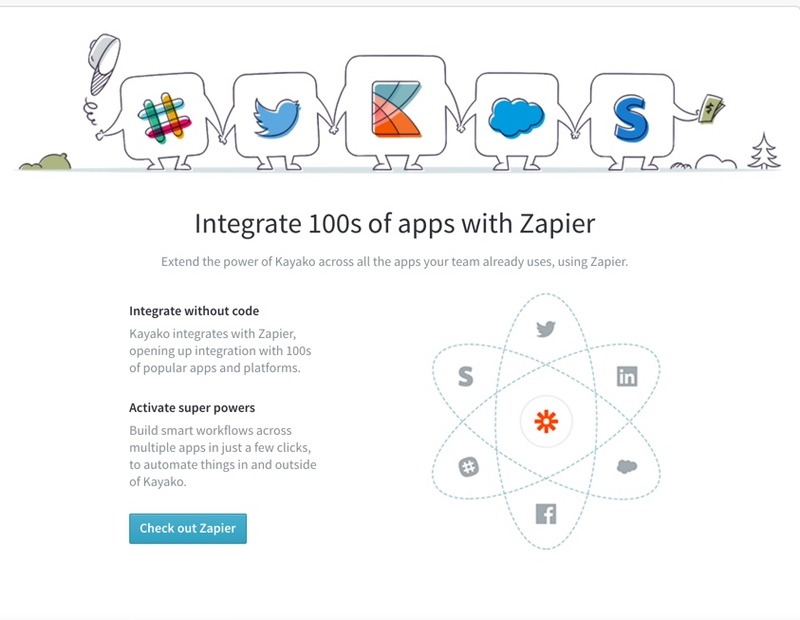 Integrations: Yes, by integrating Kayako with Zapier, which gives you access to hundreds of popular apps and services such as Stripe, SalesForce and Slack. Ease of use: Kayako presents a very clean interface, but it’s not entirely intuitive. Some items don’t carry common labels, so you may find yourself clicking around to find what you need. That means you will need to set aside time to familiarize yourself with the interface and train your staff. Number of agents per month, as each plan is billed per agent, per month. Whether you get billed annually (which is less expensive) or choose a month-to-month billing options. Who can use it: This help desk is suitable for any type of small business. Live chat is built in for all plans. The uncommon labeling in the dashboard, which makes it less intuitive. 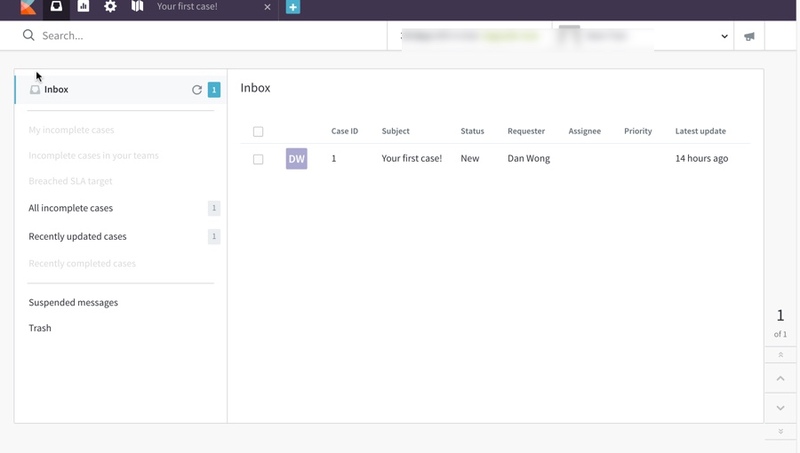 For example, Kayako uses the label “case” rather than the more commonly used label “ticket.” If you’re new to using a help desk, this likely won’t present a problem for you. If you’ve been using other solutions, then these uncommon labels may take some getting used to. The dashboard has a lot of gray text on a white background. This quickly fatigues the eyes, and it can be downright problematic for those who have problems reading low contrast text. 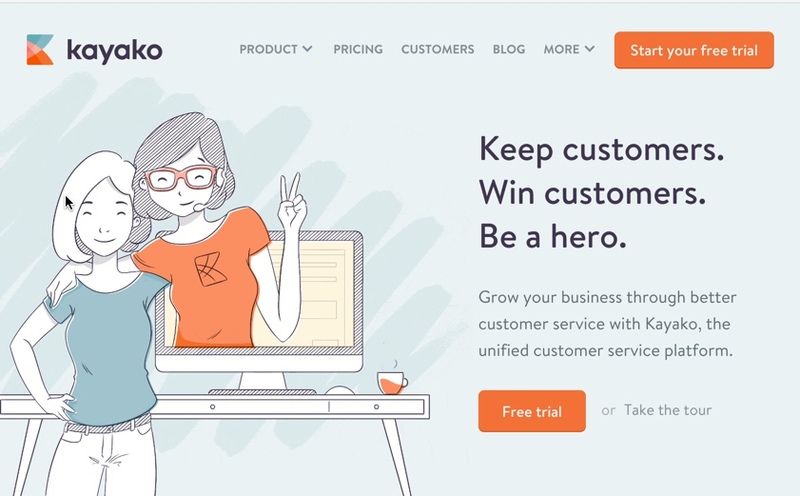 If you’d like to learn more about Kayako’s unified customer service platform or try them out free, check them out by clicking the button below. RhinoSupport is all about saving you time, by offering you a support platform that makes it as easy as possible for your support team to provide great customer service. Via phone: No, but RhinoSupport said it is possible through third-party integration. Multi brand helpdesk support (FAQ/Knowledgebase separate for each product): Yes, up to five brands, depending on the plan you select. Widget embedding for FAQ, Ticket, Chat: Yes, this is available via a traditional tab-style widget as seen below. Multiple agents: Yes. There is an unlimited agent plan available. Please see the pricing section later on for more information. Ease of use: If you’re looking for something easy to use with no learning curve, this is it. Across our testing, we found this to be one of the easiest help desks to set up and run. The interface is very intuitive and clean. Price: Prices run from $47 to month to $197 per month depending on the plan you select. All except the most basic plan let you have an unlimited number of agents. You can also try any plan free for 15 days. Who can use it: This is a great option for an internet marketer, a start-up business, and any small business who does not need a sophisticated system. If you’re looking for comprehensive app tracking, reporting and automation rules, then this isn’t the right help desk for you. 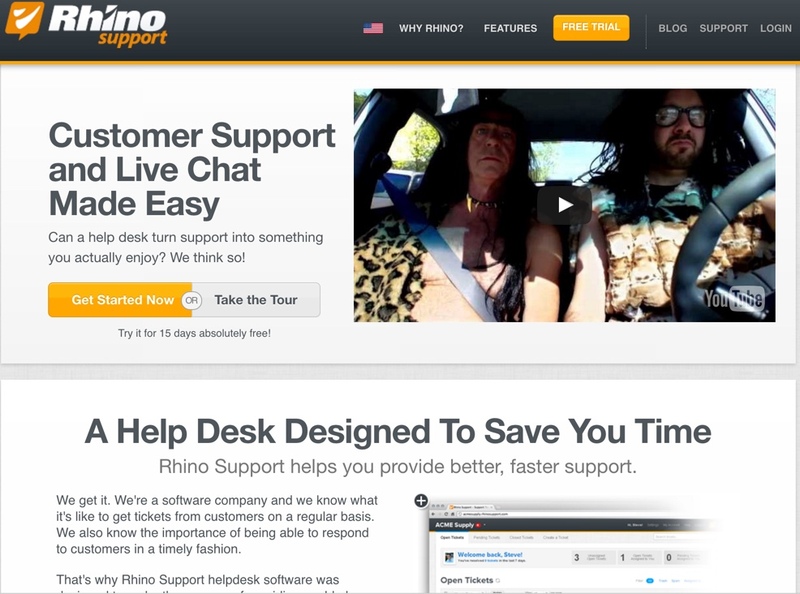 If you’re looking for a straightforward help desk at a good price, then you’ll want to consider RhinoSupport. Very simple, intuitive and clean interface that’s easy to use. Very affordable. 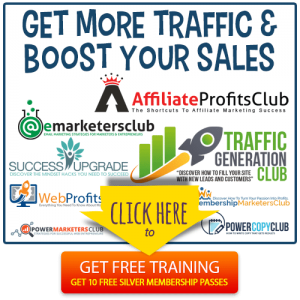 The high-end plan is $97 per month, which is a great deal for unlimited agents. You get built in live chat at no extra cost. You get time-saving features, such as hovering over a ticket to read the contents, and the one-click replying. Reporting and tracking is very limited and weak. If you depend on these options for staffing and training decisions, you’ll want to look elsewhere. RhinoSupport doesn’t offer you a live chat support option. When we contacted them, it took days to get a reply. However, the system is stable, so we only contacted them a few times over the years we used this platform. If you’d like to try Rhino Support’s free trial or just learn more about Rhino Support’s simplistic, efficient and easy to use help desk system, check them out by clicking the button below. If you’ve spent any time at all seriously researching support desks, then you’ve probably heard about ZenDesk. 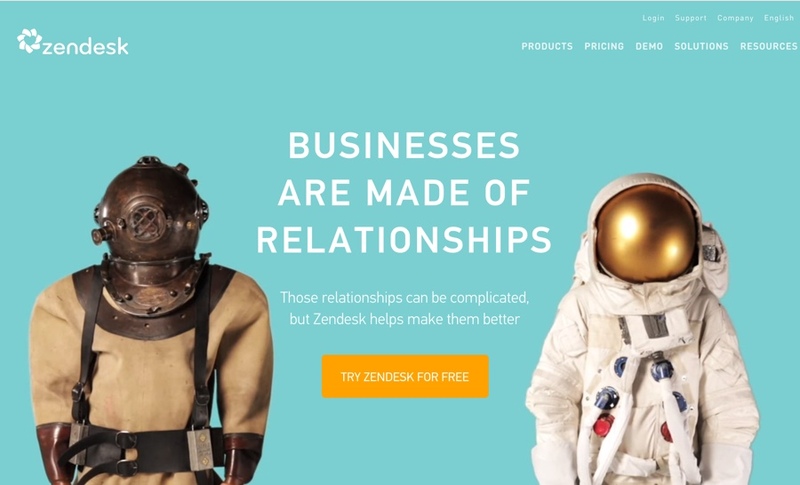 Question is, is ZenDesk a good fit for your business? Via phone: Yes, but it costs extra. Via chat: Yes, but it costs extra. Multi brand helpdesk support (FAQ/Knowledgebase separate for each product): Yes. With select plans you can support up to five brands. However, there is also an option to support an unlimited number of brands at an extra cost. Widget embedding for FAQ, Ticket, Chat: Yes, and it’s very stylish (and similar to HelpScout in terms of professional design). You can even embed a live chat form (which costs extra). It’s very clearly labeled and user-friendly, so your prospects and customers will have no problems identifying the widget and what it can do for them. While other help desks have beautiful beacon-style widgets, an inexperienced user may not always realize the beacon symbol is where they can get help. With ZenDesk, there is no question what the stylish widget does. Internal support (Ability to pass user data from inside app along with ticket to track which products customer has purchased or used to provide timely and correct support and advanced sales funnel): Yes, but we didn’t test this feature. Voice (call center): Yes, at an extra cost. Multiple agents: Yes. Like most platforms, there is a cost per agent. See the pricing section a bit later for more information. Private FAQ/knowledge base for internal use: Yes. Tag, tracking: Yes, very good. Automation rules: Yes, very comprehensive. Reporting: Yes. At a glance you can see the number of open tickets, the average time to respond, the number of tickets currently in the backlog and much more. 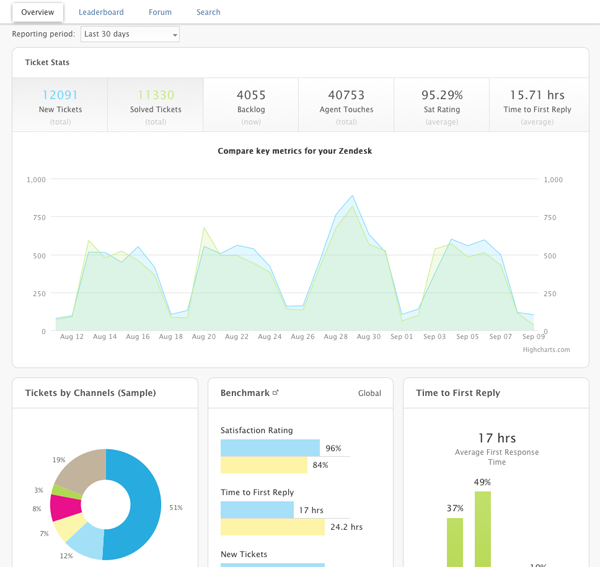 ZenDesk gives you plenty of information to help you make smart training, staffing and other business decisions. Remote control/access: Yes, which you can achieve by integrating with LogMeIn. Integrations: Yes. If you’re looking for power and flexibility, look to ZenDesk. That’s because they integrate with over 300 apps and services across a wide variety of categories, including productivity apps, IT and project management, ecommerce and CRM, analytics and reporting, chat and collaboration and more. 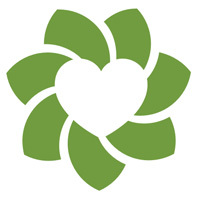 Ease of use: Overall, ZenDesk has a clean interface and is easy to use. However, some sections don’t have intuitive labels, so you will need to spend some time familiarizing yourself with the platform. 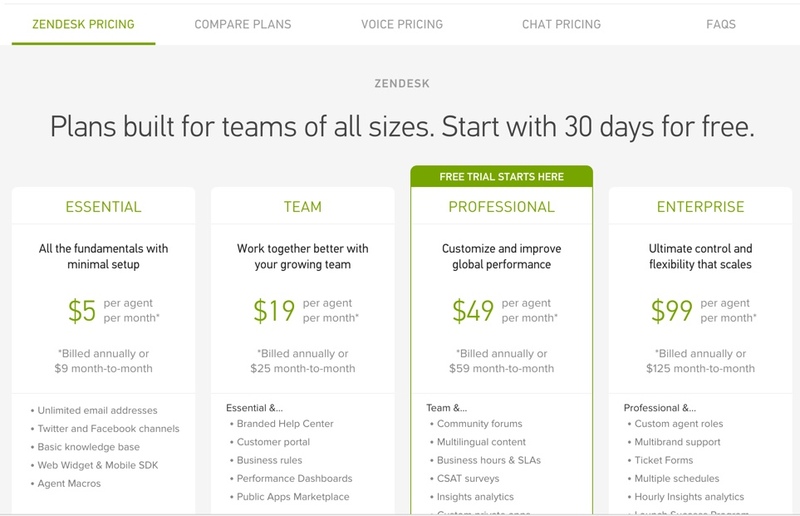 Price: ZenDesk has a variety of plans so that you can choose the one that’s right for your business. The platform starts for as little as $5 per month per agent, and it goes all the way up to the Enterprise plan which is $99 per month per agent. Note: You’ll pay slightly more if you choose to get billed monthly rather than annually. Who can use it: Any small, medium or large business can use ZenDesk, as they have the power, flexibility and pricing plans to meet your needs. Loaded with features. ZenDesk has a lot of bells and whistles, especially if you choose the higher-tier plans. ZenDesk will grow with you as your business grows. Powerful yet user-friendly. Even though ZenDesk is loaded with features, it still has a nice, clean interface that’s easy to navigate. Includes hover feature. You can see the contents of a ticket at a glance simply by hovering your mouse over the ticket, which is a convenient and time-saving feature. In-depth reporting. Not all plans include this feature, but those that do provide a lot of information to help you plan your business. Beautiful, professional and useful beacon. Best of all, you can include your ticket submission, FAQ and live chat in this beacon (though adding live chat costs extra). Point and click frontend theme switcher. This means you can quickly and easily change the look and design of your help desk, even if you don’t know much about coding. So what’s the downside to using ZenDesk? It gets costly, especially if you’re looking to add in a lot of features. But it is a good, stable solution. If you’d like to learn more about Zen Desk’s reliable, flexible, and scalable help desk system, check them out by clicking the button below. We would just like to mention that we’ve used Help Scout ourselves for about a year and really like them, in fact we use them on all our sites now. The help desk software Kayako and Rhino support were both used on our sites in the past (for many years) and we did like them as well at the time but as our business needs changed we switched to Help Scout. We have business partners who use and like FreshDesk so it’s really what is best for your individual business needs. These reviews are created so you can make a well-informed decision to what’s best for you and your profit margins.